This past week was pretty cool with some interesting experiences. It was transfers this past week and our mission president got the okay to start sending elders back into lesotho, But again he has some restrictions with that as well. Every set of elders is allowed to go to lesotho during the day. but at night they have to drive back out of the country and stay in a city called Ladybrand which is pretty much hugging the border. But unfortunately my companion and i are unable to go to lesotho for a few reasons. One of then being that our area is pretty far away from the border and the mission office thought that we would just be doing a lot of driving with very little time to do teaching. so we are still in Botshabelo right now. Im also not allowed to go into lesotho Because of visa problems, but that doesnt discourage me at all. haha im actually excited to stay here longer because we have a few people that are getting ready for baptism which will be sweet!! 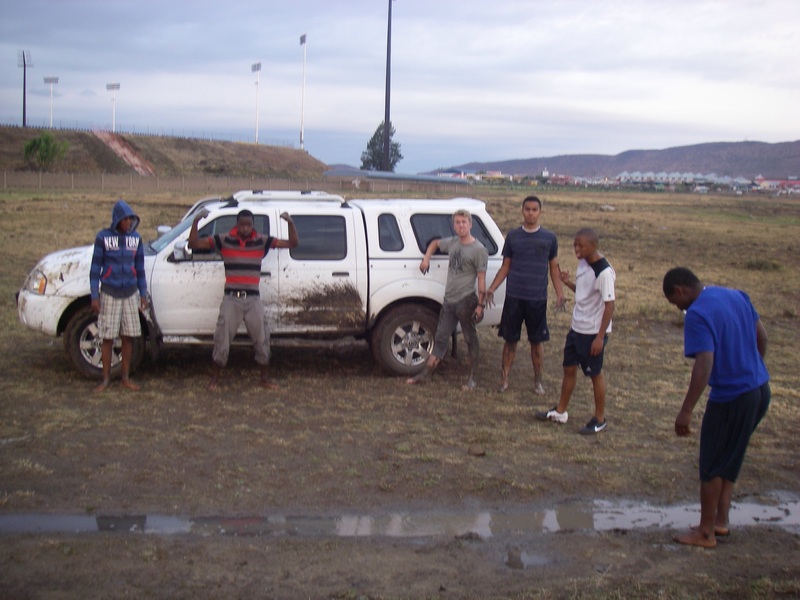 Also this past week we got our vehicle stuck as we were trying to get to a soccer field so we could play with some members and investigators. Haha it was pretty fun actually. Not that i would get it stuck again, but at the time it was awesome. One of the best things was that when we got stuck there was seven or eight people that came and helped us get out. Some of the people were elders and we had a few members as well who we were meeting at the grounds. At one point, nothing is working to get the truck unstuck. We got some shovels and tried to scoop away the mud, but it didnt do anything. We tried to find things to put under the tires so we could get some traction, but that didnt work either. Elder Faganello stopped and said “you know… this is like that talk by elder David A. Bednar. we are in need of some serious spiritual traction” I laughed pretty hard at that but again the truck was still stuck. 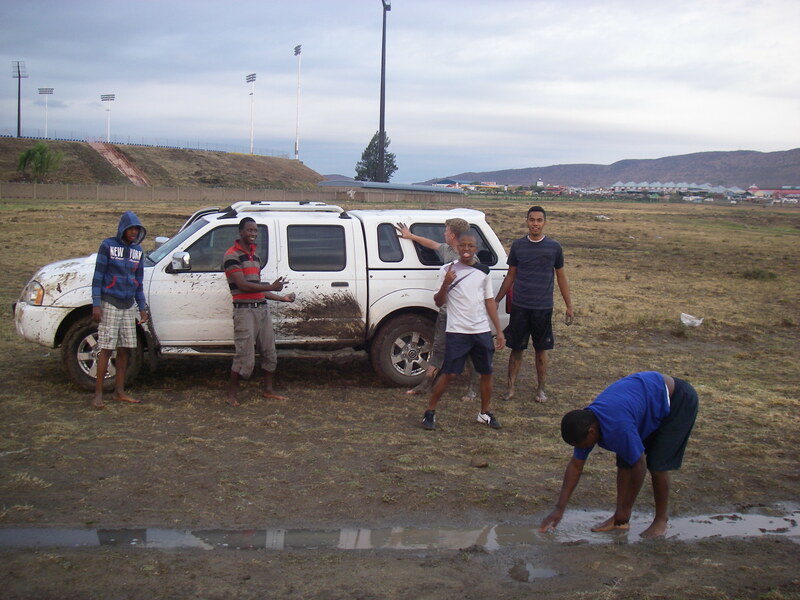 Finally one of the elders said “you know… I think we need to take our shoes off, get into the mud and push it out! thats the only thing that will work” People were still standing by saying “no there has to be some other way!” but eventually all the conclusions were drawn up, Agreed and took off there shoes to push and get the truck unstuck. At first nothing happened, but the elders and members are giving it their all and are pushing as hard as they could regardless of all the mud that was being thrown into their faces by the tires, and all the mud that they were standing in which in reality was probably sewage mud. It stunk pretty bad. So they kept trying and trying and then eventually we got some traction, the tires stopped spinning and the truck flew out of the mud, back to paths that were more dry and a lot more safe. Now i didnt really think that the experience was spiritual at all, but my mind got changed as i heard an elder bear his testimony about what we did. 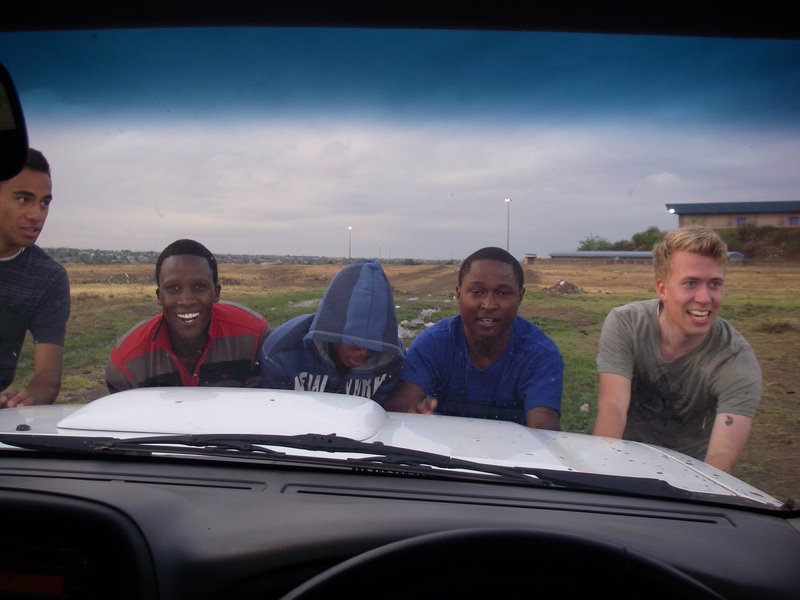 He told the same story and then eventually ended saying this “You know… when i got to the front of that truck i looked and i realized something… It wasn’t just us missionaries, laboring to get the vehicle out, But the members as well came into the mud, even though it stank and helped us get the vehicle out. Now that experience to me was an example of how we should be doing missionary work. if it is just us elders doing the work, yes we will bring people to church, but without the help of the members help, our progress is going nowhere.” I thought about it and it was true what he said. Yes we are young men and women who work hard and do our best every day, but until the members are willing to lend a hand, all the work that we do will be much harder. So i just want to close with this-You may think that missionary work is just for The young men and women who get set apart to do this work. But that is Wrong. President David O. Mckay said “Every member a missionary!” And there has been countless counsels from numerous general authorities, apostles and prophets about this subject. Remember that the members need to help out so we can hasten the work of salvation among our spirit brothers and sisters. I hope you all have a good week!! I love you all!! Note: For ease of reading, I have combined three emails into this one post, one letter and two picture emails. Trying to get the truck out, while posing stylishly for good measure. Still working to get the truck out of the mud.